There is nothing better than receiving something in the mail, just because. When it isn’t your birthday, a holiday or an announcement about someone’s new house/baby/wedding/etc. And it is even better when it is from your 94 year old grandfather and has giraffes on it. 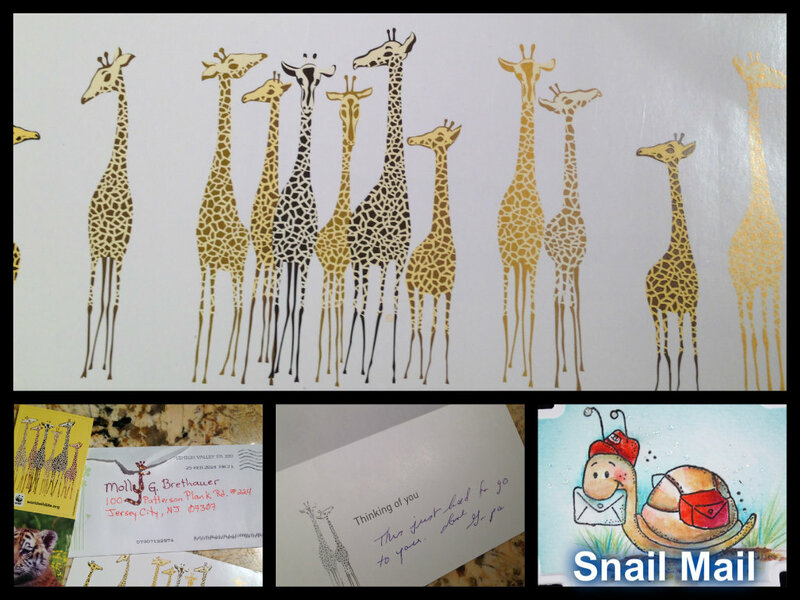 Thanks for the snail giraffe mail Grandpa! The giraffe y got decapitated… Why?? ?